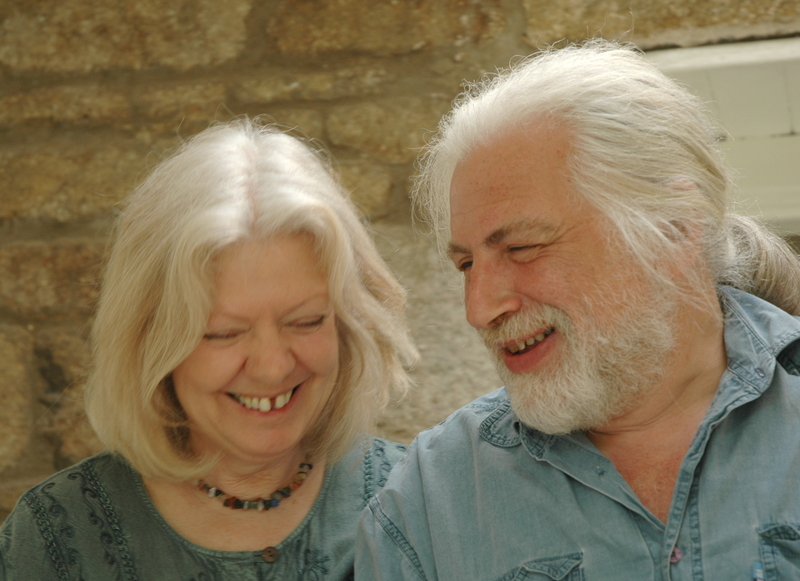 MAUDE: Some years ago we were doing an interview with Bill Weil of Conscious Couples Conversations and he asked us if we thought maturity had anything to do with having a peaceful relationship. This past weekend we were at an indie author book fair, and a marriage and family counselor approached us and asked the same question. He wondered if you had to be of a certain age and maturity to have the kind of relationship that we discuss. We have asked ourselves the same question a number of times in reflecting on the hows and wherefores of our relationship. The short answer is yes, we do feel that a certain level of experience is necessary for this type of relationship. But what does that mean? When we were talking with Bill Weil, he hastened to clarify that he did not mean age per se. He noted that his son, who was in his 20’s at the time, was quite mature, having worked on himself consciously for quite a while. That is one of the most important parts of what we think is necessary. You have to have worked on yourself. You have to have come to know yourself. We are not suggesting that this journey needs to be completed (or is ever completed), but you need to have reflected, observed and come to understand who you are and what you want. When this is the case, you will also know what your core values are and you will base your relationship on those core values, making sure they are shared with your partner. We are sure that things would have been different for us if we had met before we were ready for each other, ready for commitment, uninterested in drama, seeking mutuality and both knowing enough about ourselves that we could honestly share it with each other. How does your relationship work? Have you both reached a level of maturity where you can share goals and seek for mutual solutions and decisions? Do you share the belief and intent to have a peaceful relationship? Do you celebrate the differences between you without trying to change each other? Do you express the 3A’s with each other? These are some of the markers that indicate a level of awareness that can blossom into a peaceful and conflict-free relationship. We deeply wish that for all of you. May you join those spreading peace, one relationship at a time. Reach for the level in your relationship where you can share goals and seek for mutual solutions? Click To TweetPHIL: We get asked this question again and again in various forms: don’t you need a certain maturity or age or second marriage before you can have a relationship like yours? Yes, but it doesn’t have to take a lifetime. When you first set out in the world, you don’t know the difference between a good relationship and a bad one. It’s like going into a restaurant where none of the items on the menu are familiar. You pick one at random, or perhaps you pick one that matches your childhood fare: you were ignored, so you pick a workaholic; you were abandoned, so you pick a philanderer; you were beaten, so you opt for abuse. How could you know any better? Does a fish know it’s in water? We assume that the world we live in is how the world is. As we careen at random through the cosmos and taste more and more relationships from the menu of life, we come to learn what is available and what we want, yet that can entail a lifetime of learning. There is an online advice forum where people post their relationship problems and other people offer advice. It’s frequently near-unanimous: how could you let her do that to you; stand up to your mother-in-law; ask for help instead of assuming he knows. OP (original poster) will often follow up three days or three months later with an update, having been jolted into action by the collective perception of a hundred people. That’s where we, Phil and Maude, come in. We’re here to tell you about this dish that’s not even on many menus. It’s a peaceful, wonderful relationship made of acceptance, individuality and presence. If you’re not in a relationship, look out for it on the menu. And if you are, go home and tell your partner what a dish they are.